Carving out a large angler fish. After finishing up with my little Burr wood Angler fish I really liked the idea of doing a much, much larger one and give it all the steampunk trimmings! 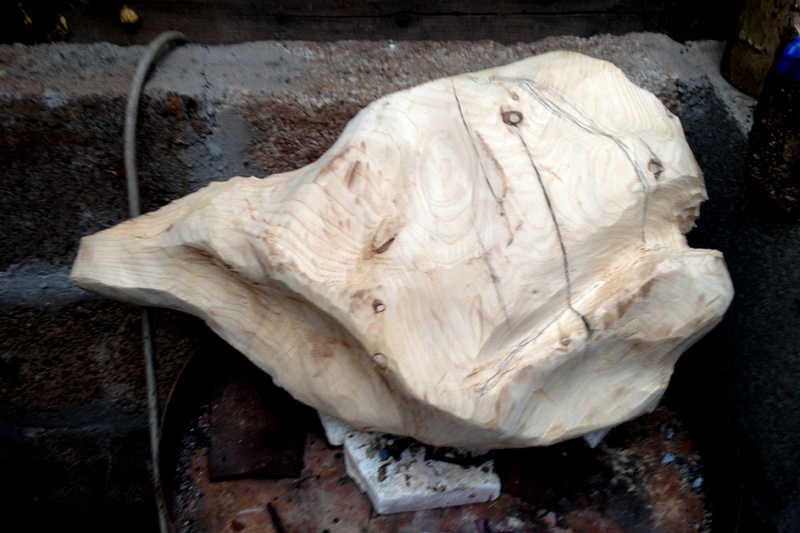 It is currently in a rough carved state, I am really pleased with how the shape is developing. Next step is to define the shape and begin to carve out detail, then it will be on to the metalworking.